Brennan, Claire (2011) Canal building: the Suez canal. In: Overfield, James H., (ed.) World History Encyclopedia, Era 7: The Age of Revolutions 1750-1914. 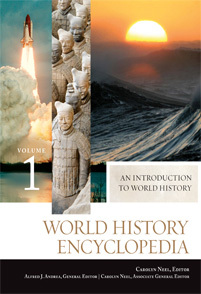 World History Encyclopedia, 16 . ABC-CLIO, Santa Barbara, CA, pp. 1029-1031. [Extract] The French invasion of Egypt in 1798 and the increase in European-Asian trade in the nineteenth century sparked new interest in a canal linking the Mediterranean Sea and the Indian Ocean by way of the Red Sea. The route followed by the Suez Canal was surveyed by the French during Napoleon's invasion of Egypt (1798-1801). However, the survey actually discouraged plans for the canal because it overestimated the difference in sea level between the Red Sea and the Mediterranean, thereby making the canal appear to be a greater engineering challenge than it was.